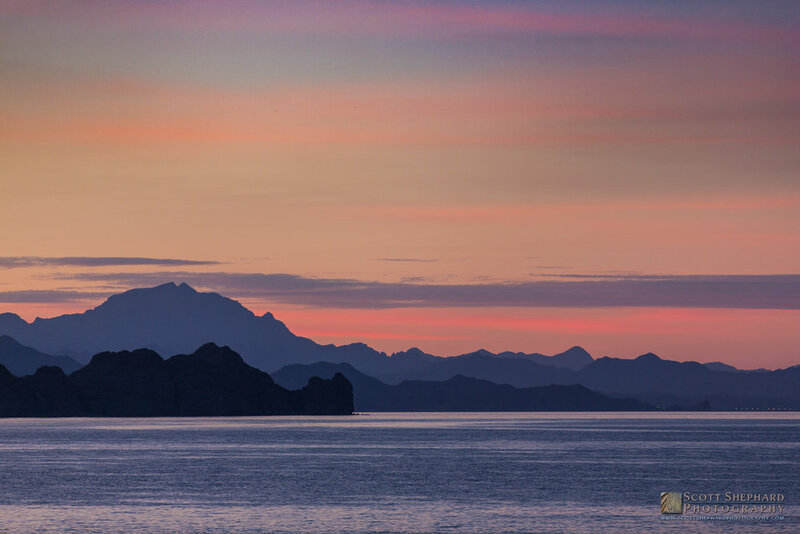 The Sierra de la Giganta mountain range runs down the Baja Peninsula along the Sea of Cortez from Loreto to La Paz, which is the capital of Baja California Sur (BCS), Mexico. The highest point, about 40 miles north of where this photo was taken, is about 3900' above sea level. By Black Hills standards, they are relatively small. Black Elk Peak, for example, is 7242' above sea level. Mt. Rushmore is 5725'. But "sea level" is the key term in what what makes the Giganta range so spectacular. They seem to rise straight up from the sea. This is especially true if seen from the water, as we did all week on our Un-Cruise journey last week. But this "drone's eye" view also helps put them in perspective. It was an amazing day to be flying along the coast north of La Paz.